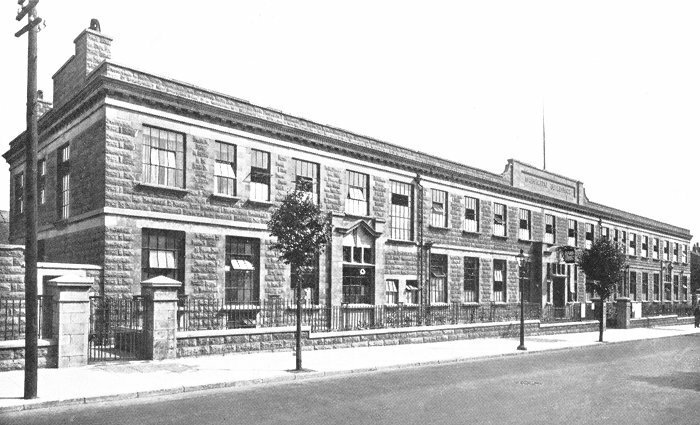 It all started in the 1820s when Absolom Harper and his two sons, John and Edward, founded A. Harper & Sons, ironfounders, at Waddams Pool Works in Hall Street, Dudley. They specialised in the production of fenders and fire irons. Absolom’s daughter Mary married George Bean, a bank clerk who grew-up in Stamford, Lincolnshire, where he was born in 1855. He met Mary while working for a bank in Dudley, and soon became financial manager of Allen, Everitt & Sons of Smethwick. After their marriage George left his job and joined the family business. In 1901 he became the principal shareholder. The name was changed to A. Harper, Sons & Bean in 1907 when George became chairman. Drop hammers were installed at the works in 1911 to produce forgings for the up and coming motor industry. They were transferred to Smethwick in 1912 when the company established a forging plant there. It still exists today as Smethwick Drop Forgings Limited, now a part of GKN. There were 75 drop hammers varying in size from 3 cwts to 3 tons, capable of producing forgings up to 1½ cwts. George Bean became Mayor of Dudley in 1908, and again in 1911, and 1912. The business greatly prospered during the First World War thanks to a plentiful supply of ministry contracts for munitions. The factory buildings were extended in order to increase the production of shrapnel and shell cases. By 1916 around 21,000 shell cases were produced every week. After the war George received a knighthood for his services to the war effort, and his only son John, known as Jack, who also worked in the business, was made a CBE. At the end of hostilities the lucrative munitions orders ceased and something had to be quickly found to replace them, so that the business could survive. At the time motor cars were becoming increasingly popular, and so the decision was taken for the company to become a car manufacturer. 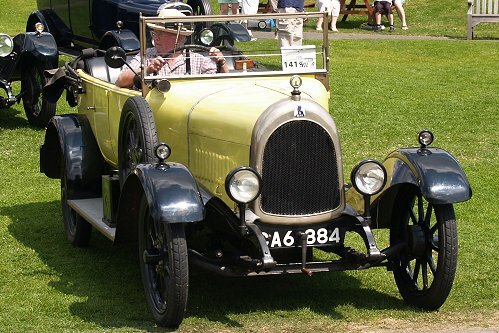 At this time the jigs, patterns, tools, and manufacturing rights for the Perry car were up for sale and so A. Harper, Sons & Bean purchased them in January 1919 for £15,000 as a way of quickly getting into the industry by buying a tried and tested design. 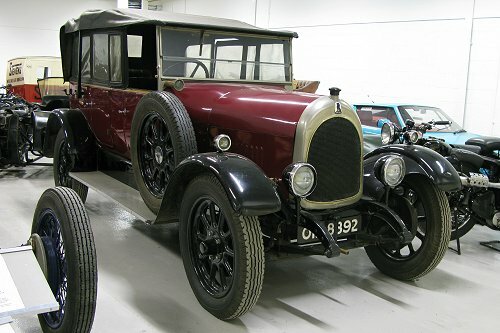 The Perry car was made by the Perry Motor Company at Tyseley, Birmingham. The business was founded by James and Stephen Perry who made pen nibs in London before moving to Birmingham to build bicycles. In the late 1890s their business was purchased by James William Bayliss, one of the owners of the Bayliss-Thomas car company. Perry’s first car, the 8hp. 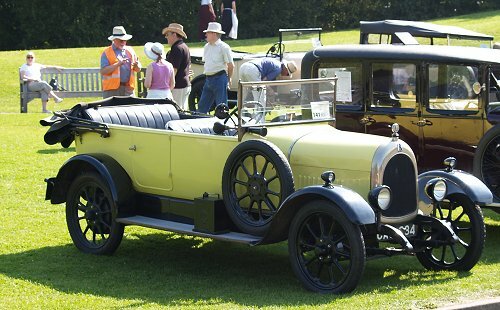 Perry 8 cyclecar appeared in 1913 and remained in production until 1915. It was designed by Cecil Bayliss, son of James Bayliss. The car had an unusual two cylinder engine in which both the cylinders rose and fell at the same time. About 800 Perry 8s were produced. 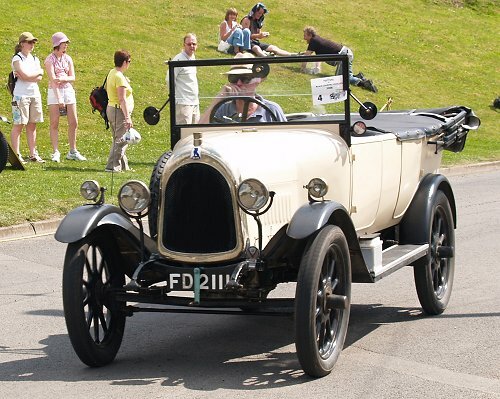 In 1914 the company launched the Perry 11.9, a full-sized car powered by a Perry four cylinder 1795c.c. engine. Production continued until 1916 by which time over 300 had been produced. After the war Perrys decided not to resume car manufacturing and so the design was put up for sale. After their purchase, A. Harper, Sons & Bean decided to manufacture the car and call it the Bean. 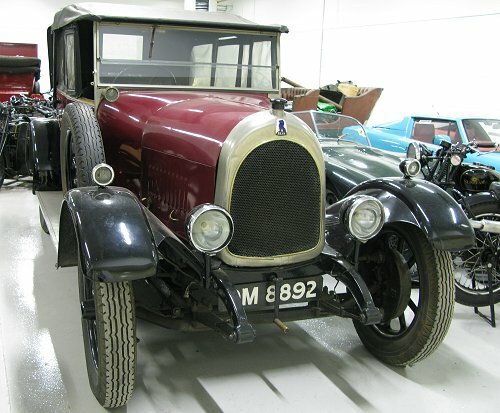 Jack Bean the company’s Managing Director was an extremely ambitious man who planned to produce vast numbers of the Bean car, to become one of the country’s leading car manufacturers. With this in mind he visited America to purchase the latest machinery. As a result the company became one of the first in the country to have twin moving track assembly lines. Jack envisaged a large organisation formed from a consortium of manufacturers that between them could produce maybe 75,000 cars and 25,000 lorries a year, something like the massive General Motors combine in America. He planned to take on the British built model T Ford. Thanks to his drive and enthusiasm a group of companies including vehicle maker Swift, car and lorry maker Vulcan, Hadfield Steel Company of Sheffield, the Regent Carriage Company, and radiator makers Alex Mosses, and Gallay came together to Form Harper Bean Limited in November 1919. 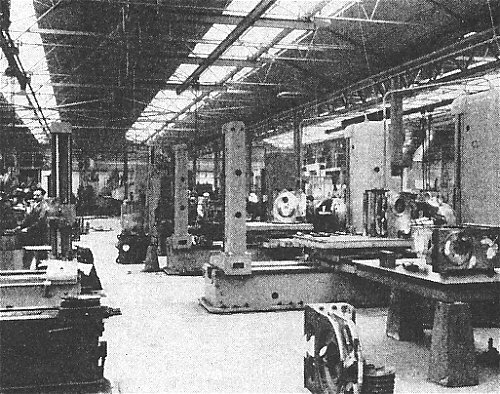 A newly built factory at Tipton began to produce complete car chassis which were driven to the Waddams Pool Works in Dudley for the bodies to be fitted. The Smethwick factory would provide all of the forgings that were necessary. The body shop at Waddams Pool Works occupied a site covering 327,000 square feet. It had a capacity of twenty cars per day. 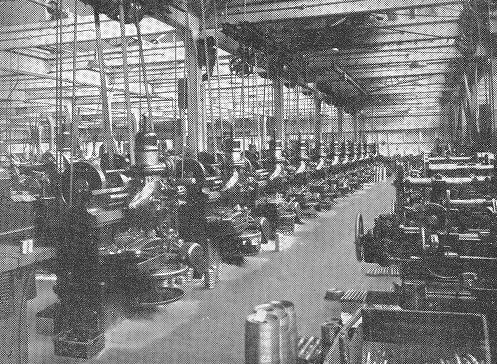 Departments included the body assembly department, the paint shop, the sawmill, the trimming shop, the experimental department, and the cushions and hoods department. 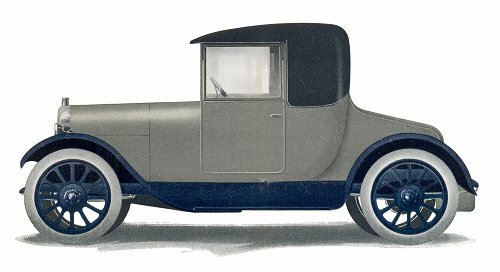 The company’s first car, the Bean 11.9, a slightly updated Perry design, was launched at the 1919 Motor Show. 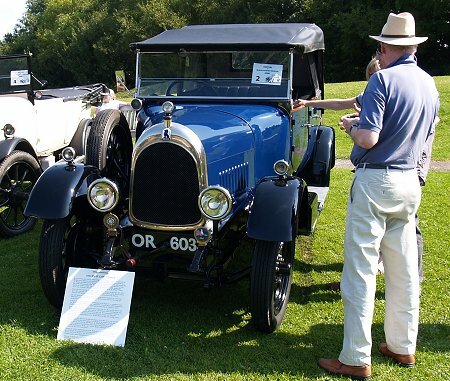 The models on display consisted of a 2 seater tourer priced at £425, a 4 seater tourer priced at £450, and a complete chassis. The range was soon augmented by the addition of a 2 seater coupé priced at £500, and a 4 seater coupé priced at £550. Harry Radford was employed as Chief Designer to oversee the initial modifications that were made to the Perry design, and Tom Conroy an American production engineer took charge of the Tipton factory. From the 1919 Bean catalogue. The Bean 11.9 chassis that was built at the Tipton factory. Another view of the 11.9 chassis. From the 1919 Bean catalogue. 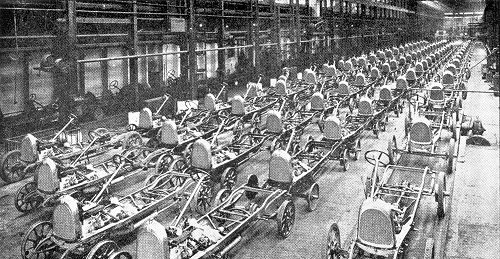 Production began in earnest in January 1920 and soon 80 chassis were completed each week. Unfortunately the Dudley factory couldn’t produce enough bodies and so an order for 2,000 bodies was placed with Handley Page of Cricklewood. In 1920 around 2,000 Beans were produced. From the 1919 Bean catalogue. The Bean 11.9 four seater coupé with the hood up. A side view of the Bean four seater coupé. From the 1919 Bean catalogue. 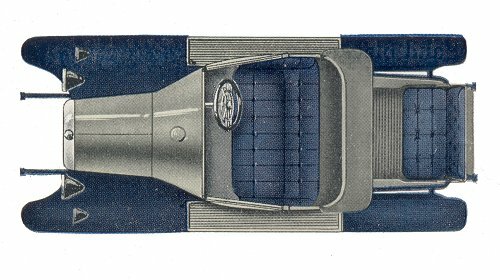 A plan view of the Bean four seater coupé showing the seating arrangements. The Bean 11.9 two seater coupé with the hood up. From the 1919 Bean catalogue. A side view of the Bean two seater coupé showing the dickey seat. 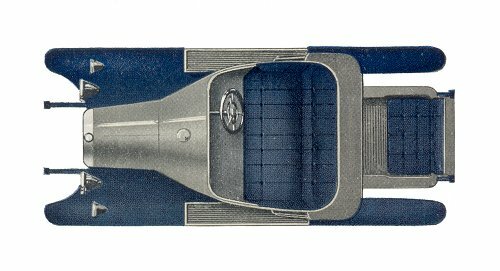 A plan view of the Bean two seater coupé showing the seating arrangements. From the 1919 Bean catalogue. The Bean 11.9 four seater touring model with the hood up. A side view of the Bean four seater touring model. From the 1919 Bean catalogue. 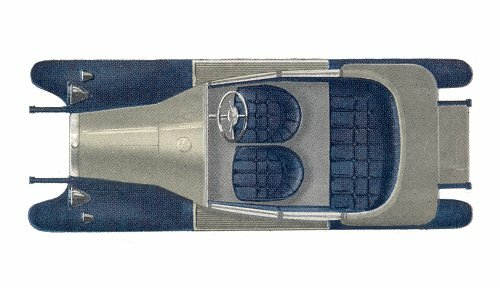 A plan view of the Bean four seater touring model showing the seating arrangements. The Bean 11.9 two seater touring model with the hood up, showing the dickey seat. From the 1919 Bean catalogue. A side view of the Bean two seater touring model. 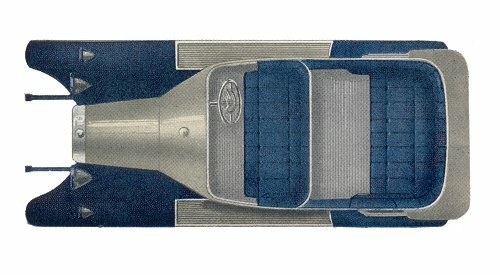 A plan view of the Bean two seater touring model showing the seating arrangements. The Tipton factory covered a large site alongside Hurst Lane and the canal. The foundry covered 122,000 square feet, with four 360 ft. long bays, five cupolas, overhead cranes with capacities ranging from five tons to fifteen tons, and an output of 250 tons of castings per week. The main factory was extremely well organised, with electric trucks conveying materials from one part of the factory to another. 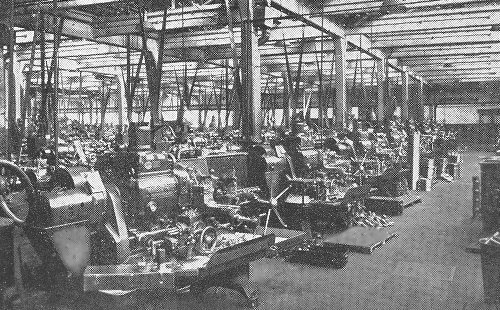 The machine shops were organised on a 'flow system' so that materials and components progressed in an orderly fashion to the assembly lines. 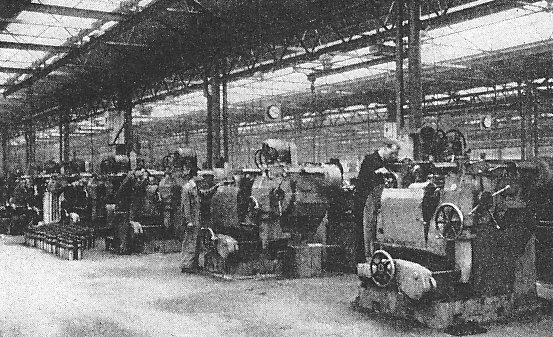 The shops were fitted with the most up-to-date machinery including a large plane miller capable of machining twelve sets of cylinders at a time. There were seven multi-spindle drilling machines which could drill seventy two holes in one operation. Three of them were used to tap the forty four holes in the cylinder blocks and crankcases. 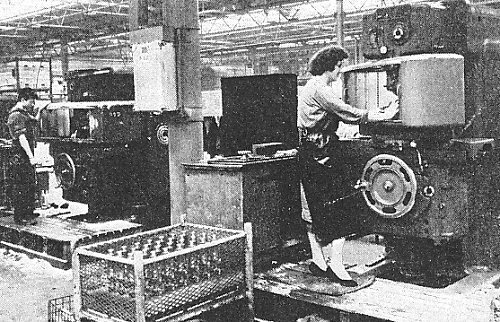 There were twenty gear cutting machines, automatic machines to machine front and rear hubs, and a machine to drill and ream big ends and connecting rods, four at a time. 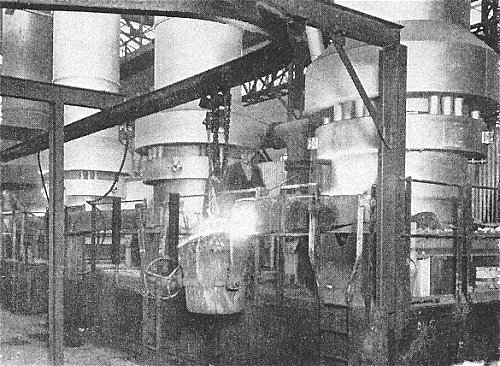 There was an array of grinding machines in the grinding department, and seventeen gas-fired furnaces in the heat treatment section. All completed engines were thoroughly tested with a dynamometer and had to develop at least twenty one horsepower. The assembly shop covered an area of 450 ft. by 90 ft. and had a long constantly moving assembly track on which the chassis frame was drilled, and all of the components were added in sequence. 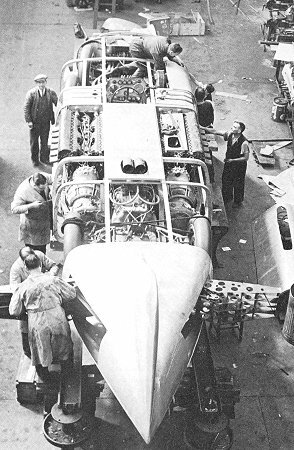 The engines were lowered into place with a pneumatic hoist to minimise handling, and groups of fitters alongside the track carried out the assembly work. At the end of the track, the completed chassis ran down a slope to the test track, where they were driven, and any necessary adjustments made before starting their journey to Waddams Pool Works, where the bodies were fitted. During the early summer of 1920 the selling prices rose dramatically, mainly because of wage rises. The price of the 2 seater tourer increased to £600, and the 4 seater tourer reached £650, both models costing considerably more than the competition. As a result the company was forced to slash the prices in order to undercut the competition, in readiness for the Motor Show that autumn. At the show the 4 seater was on offer at £545. To add to the company’s troubles, the post war boom in the car industry had come to an end and the following recession rapidly saw the end of the Harper Bean conglomerate. The company owed around £475,000 to trade suppliers and so a receiver was appointed. Production ended at Tipton in October 1920 and in the following month Jack Bean resigned from the company. During November 1921 a huge investment of capital by Sir George Bean, Barclays Bank, The National Provincial Bank, and Hadfields enabled them to buy a 55% controlling interest from Harper Bean and repay the creditors. This allowed A. Harper, Sons & Bean to manage their own affairs again, but would have serious financial implications five years later. Production of the Bean 11.9 restarted early in 1922. 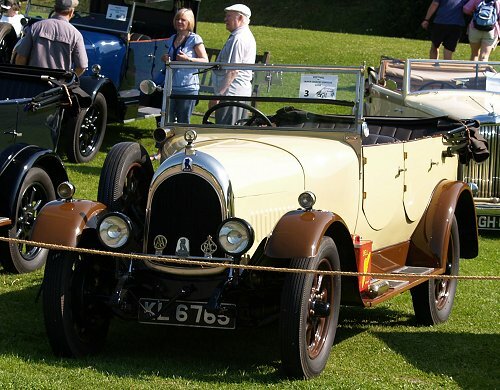 The car had an improved clutch and was available as an open 4 seater tourer, and a 2 seater with dickey. Production slowly increased, reaching 100 cars a week by August. Maurice Luscot Evans' Bean 11.9 tourer from 1926. Another view of Maurice Luscot Evans' Bean car. The 1925 Bean 11.9 tourer that belongs to Mrs. D. Thomas. 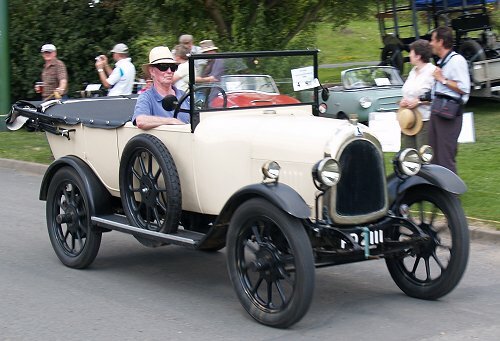 Stuart Gray's Bean tourer from 1924. 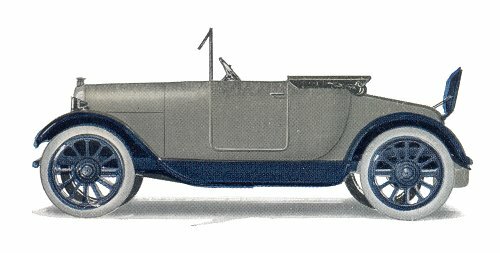 October 1923 saw the launch of a new car, the much larger Bean 14, powered by a 13.9hp. engine and fitted with a 4 speed gearbox. 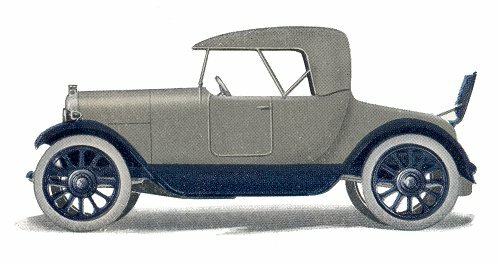 Several different bodies were available ranging from a tourer, a 3 seater with dickey, a coupé, a four door saloon, to a landaulette. The car sold particularly well in Australia, partly due to the exploits of Francis Birtles who made the first double crossing of the continent by car. He drove a Bean 14 from Sydney to Darwin and back. The Bean 12, a smaller version of the Bean 14 was launched in May 1924. Four models were available, ranging from a 2 seater plus dickey, a coupé, a 4 seater tourer, to the top of the range brougham. In November 1924 the company launched the first Bean commercial vehicle, a 25 cwt. chassis based on the 13.9hp. engine and gearbox. The vehicles mainly appeared as a lorry, but vans, ambulances, coaches and light buses were also made. Sadly the company’s chairman Sir George Bean died in 1924 at the age of 68. He was replaced by Major Augustus Clerke, Hadfield’s Managing Director, and a director of Bean since 1921. Malcolm Knowles and his Bean 14 tourer. Another view of Malcolm Knowles' car. The company's offices in Sedgley Road West. The building was sold to Tipton Council in 1935. An invoice from the mid 1920s. 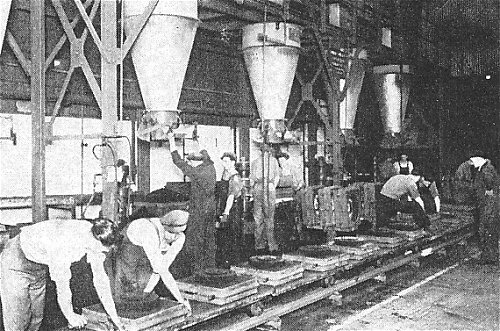 The Tipton factory in 1925. 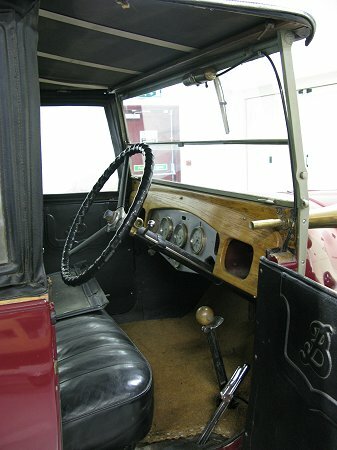 The 1925 Bean 14 that's on display at the Black Country Living Museum, Dudley. Another view of the Black Country Living Museum's Bean 14. Black Country Living Museum's Bean 14. Unfortunately the company suffered from an acute shortage of cash with debts totalling £1.8 million, mainly due to the restructuring in November 1921. 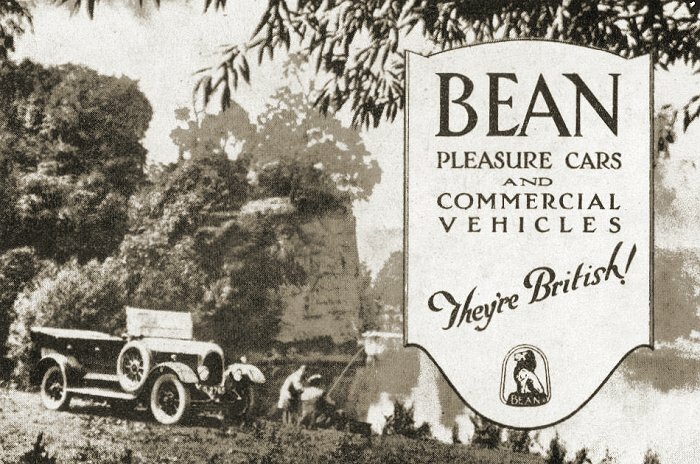 As a result Hadfields the Sheffield steel producer rescued the company and renamed it Bean Cars Limited, in June 1926. An advert from June 1926. An advert from 10th June, 1927. Initially little changed after Hadfields’ takeover. The same models continued in production, but there were changes in management. Hugh Kerr Thomas became a director and took over as General Manager, and Jack Bean left Dudley in April to go on a world tour to promote the company’s products. 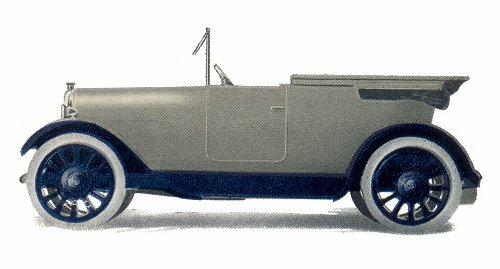 He returned in March, 1927 and promptly resigned as Managing Director to join the Board of Guy Motors. To reduce overheads, some of the Bean factories, including the Dudley site were sold. 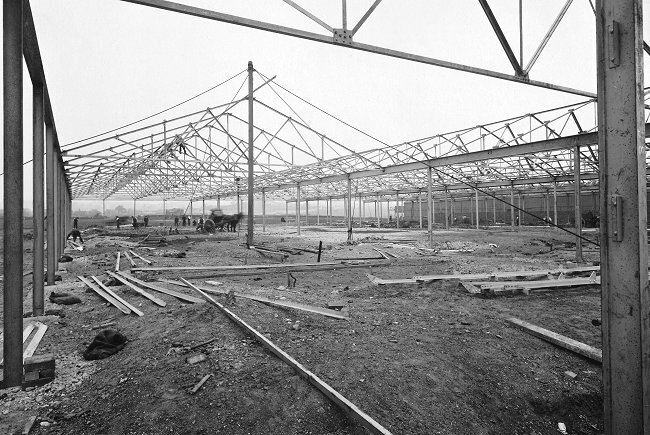 From now on production would be concentrated at the Tipton site, where a new body shop was completed in 1927. 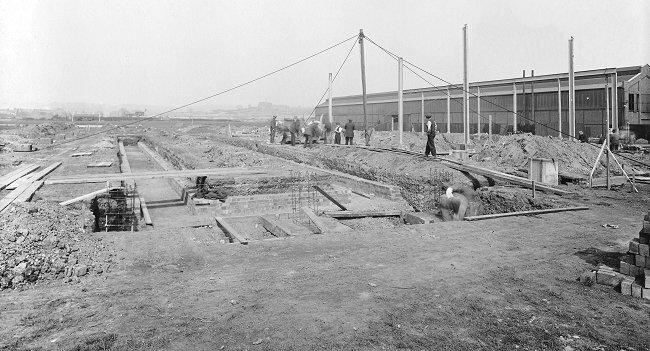 Work on the new body shop was well underway by 13th May, 1927. Work on the new body shop progresses rapidly. By 26th May much of the structural steelwork was in place. It was made by, and installed by Wilfred Robbins Limited of Golds Hill Ironworks, Great Bridge. Within a few days the structural steelwork was complete. The remainder of the building was built by Whittall of Birmingham. 1927 saw the introduction of the 18/50 that was powered by a 2.7 litre, overhead valve Meadows engine with a Meadows gearbox. They also produced a similar car called the “Imperial Six”. Francis Birtles attempted to drive one of the early prototypes from England to Australia, but gave up in India after the second failure of the car’s back axle. The car never made it into production. Undaunted, he returned in October to have another go, this time in his faithful Bean 14 called “The Sundowner”. He achieved his goal by reaching Melbourne nine months later. 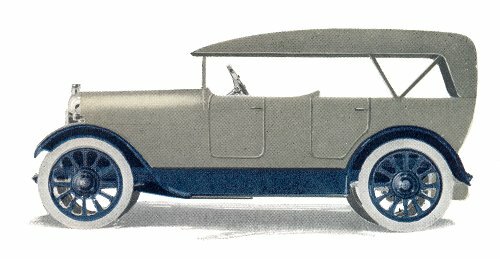 In 1927 a number of changes were made to the existing product range. Bean 12 production ended, around 3,000 had been built. The Bean 14 became the Long 14, and the Short 14 was introduced. This consisted of a Bean 12 chassis, powered by a 14 engine. The Long 14 had a relatively short life. It was discontinued in 1928. In January 1928 the Hadfield Bean 14/40 designed by R. P. Turner went into production. Powered by a 2,297c.c. engine, it had a top speed of nearly 60m.p.h. Several versions were available, ranging from a 5 seater tourer priced at £325, a saloon priced at £495, to the Sunshine saloon with a folding roof. March saw the introduction of the Hadfield Bean 14/45, one of the worst car designs to ever go into production in the UK. It had a top speed of 65m.p.h., Dewandre servo brakes, powerful beam headlights, and wide doors. The saloon sold for £435, and a 5 seater tourer was priced at £325. Fabric bodied versions were also available as the Hadfield Bean 14/70. The car went into production before the design had been fully tested and developed. It resulted in a long catalogue of faults which soon became apparent. Amongst the problems were frequent back axle failures, and an extremely heavy clutch. Bean cars had gained a reputation of being average, but reliable performers. The 14/45 put an end to all that. The company soon got a bad reputation, and sales fell to around 25 cars a week. By March 1929 the number of new cars with faults that were returned to the factory, was higher than the number of cars being produced. Returns also included some faulty 30 cwt. commercials. 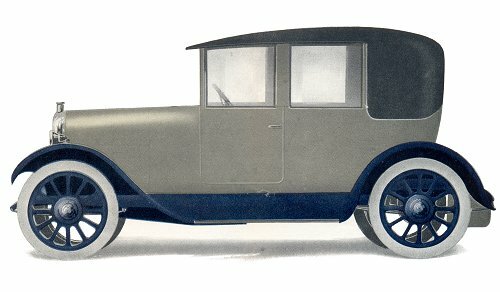 As a result car production ended in 1929, and efforts were made to improve the reliability of the commercials, which continued in production for another two years. In June 1931 the company went into voluntary liquidation and vehicle production ended. 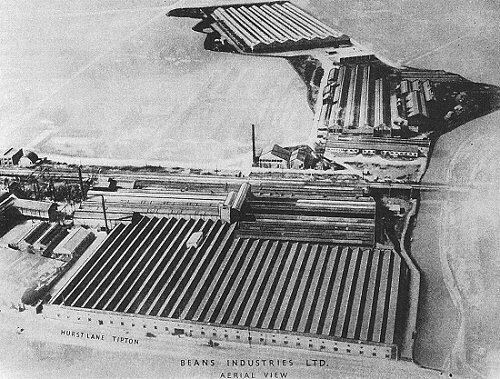 A new chapter started in November 1933 when Hadfields re-launched the business as Beans Industries. The new company would produce castings for the motor industry. The business soon became profitable again, and in 1936 the drop forging business at Smethwick became Smethwick Drop Forgings Limited, later becoming part of GKN. In 1937 Beans Industries became a public company. In 1937 a final car was built at the Tipton works when the company obtained the contract to build George Eyston’s world land speed record breaking car the ‘Thunderbolt’. The car, powered by two Rolls Royce V12, 36.5litre engines, each delivering 2,350b.h.p., weighed 7 tons. One of the engines had previously powered a Schneider Trophy winning aircraft. There were three axles and eight wheels. The two leading axles steered, and were of varying track. The driven rear axle had twin tyres to spread the weight. At the rear was a large triangular tail fin to provide directional stability, and on top were the engine air intakes, and the exhaust outlets. The driver sat ahead of the engines, behind the second pair of front wheels. The 'Thunderbolt', as originally built. 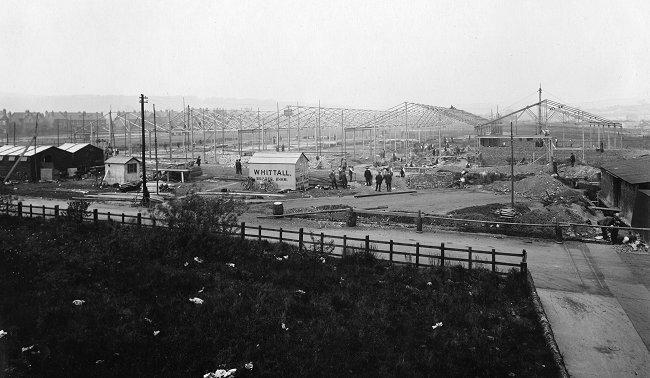 The Thunderbolt; under construction at Tipton. Eyston and his team took the car to the Bonneville Salt Flats in America for the record attempt. The team arrived in October 1937 but proceedings were delayed for a fortnight due to clutch problems and bad weather. During a couple of trial runs the car easily reached 230m.p.h. The first attempt on 28th October ended in failure. On the first run of the 10 mile course the car reached 310m.p.h. but during the return run the dog clutches that coupled the two engines failed. Another attempt a week later ended with same result, the car achieved 310m.p.h. on the first run, but the clutches again failed during the second run. As a result new clutch parts made to Eyston's design were hurriedly produced by two racing engineers in Los Angeles. The parts arrived on 17th November and two days later the car was ready for another attempt on the record. On the first run the car achieved 305.59m.p.h. and reached 319.11m.p.h. on the return run. The average speed for the kilometre was 312m.p.h., and for the mile, 311.42m.p.h. George Eyston had broken Sir Malcolm Campbell’s existing record by 11m.p.h. In 1938 the car returned to the salt flats for another attempt at the record. Several modifications had been made to the car. The streamlining was improved with a rounded nose, and a fully enclosed cockpit was added with a respirator for the driver. The first attempt on the record took place on 24th August and Eyston and the car performed superbly reaching 347.155m.p.h. on the first run. Unfortunately things went wrong on the equally fast second run when the time keeping equipment operated by Art Pillsbury failed to register the time. It seems that the sensor failed to register the shiny car against the white salt background. As a result a black arrow with a yellow disc was painted on the side of the car to cure the problem. On 27th August the car returned for another attempt on the record. This time everything went well, and the car achieved a new record of 345.49m.p.h. On 12th September Eyston's rival John Cobb made an attempt on the record in his Napier-Railton car, reaching 342.5m.p.h. Three days later he took the record at 350.2m.p.h. Undaunted, Eyston prepared to have another go at the record. After his last success he hurriedly made some improvements to the car. He completely covered the nose after removing the radiator and replacing it with a tank cooling system, and also removed the tail fin. On 16th September he was ready for another attempt on the record. After a wonderful performance the Thunderbolt re-took the land speed record after achieving 357.5m.p.h. The Thunderbolt in its final form. Unfortunately the car was eventually destroyed by fire during a tour of New Zealand in the early 1940s. The remains of the engines can be seen in the Museum of Transport and Technology, Western Springs, Auckland. During World War 2 the company produced lorry engines, parts for army trucks, and parts for aircraft. An advert from 1954. In the early 1950s the business went from strength to strength. By this time, the foundry alone covered an area of around 297,000 square feet, and could produce five hundred tons of iron castings each week. The foundry had a large number of up-to-date machines, used to manufacture automotive components and assemblies of all kinds. It had a sand handling plant, moulding machines for medium repetitive work, and a traditional floor moulding section for jobbing work. Production included castings of almost every kind for numerous industries, and castings for vehicle manufacturers including flywheels, brake drums, manifolds, and gearboxes. The cylinder section produced over 1,000 castings a week, for all kinds of cylinder blocks, heads, and crankcases. The general section produced large numbers of high quality engineering castings from a few pounds up to five tons in weight. They included machine tools, press castings, cylinders for marine oil coolers, steam jacketed tube moulds, tractor transmission cases and axle sleeves, diesel engine beds, columns, motor gearboxes, oil engine parts, hydraulic cushion cylinders, etc., etc. Precise control of everything from pig iron, sand, and all materials, through to the finished cast metal was carefully maintained. Each ladle of metal was individually tested to ensure that the correct composition was used for each casting, to guarantee high tensile strength, combined with good machineability. The firm gained a high reputation for the quality of its castings, and for providing an efficient and reliable service to customers. One of the gear cutting lines. The Engineering Division manufactured precision engineering components and assemblies for vehicle manufacturers, railway locomotive builders, tractor builders, and marine industries. Products included vehicle transmissions, axle assemblies, machined cylinder blocks, cylinder heads, crankcases, and gearboxes. The up-to-date machinery and plant ensured that work was produced to the highest standards, and to fine tolerances. Skilled operators were used, and their work was closely supervised and inspected at every stage. 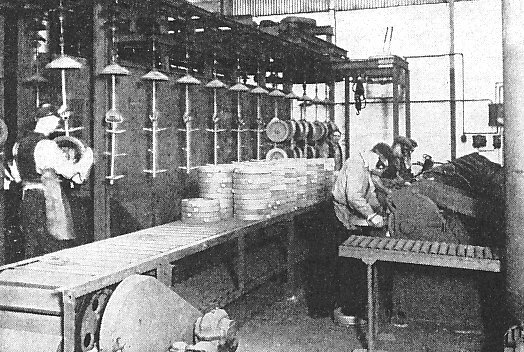 There were facilities for efficient heat treatment, and a modern tool room which produced all the essential jigs, tools, and equipment needed for production. The extensive experience gained in the factory enabled the firm to produce a vast range of components for a large number of industries. 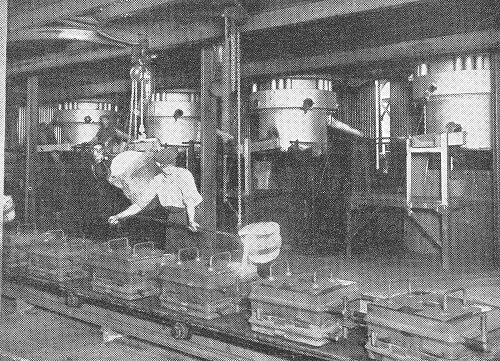 A row of capstan turret machines. Horizontal and vertical boring machines. In 1956 the company was taken over by Standard-Triumph to produce castings for their vehicles, including cylinders made from "Bilchrome" a special cylinder iron developed in-house. The fully mechanised foundry concentrated on the production of a wide range of vehicle castings, including flywheels, brake drums, manifolds, and gearboxes, ranging in weight from a few pounds to 60 lbs. The main products, castings for cylinder blocks, cylinder heads, and crankcases were produced up to a weight of 1,000 lbs., and over 1,500 such castings were produced each week. At this time the foundry produced around 600 tons of castings a week. The production line for tractor front axle supports. The production line for tractor differential carrier plates. The castings were machined in the engineering division where components and complete assemblies were produced for vehicles, tractors, locomotives, and boats. 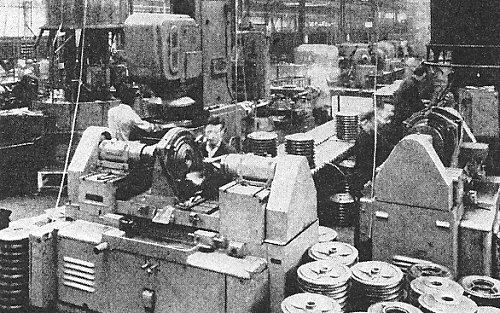 The division had 500,000 square feet of floor space, and had the most modern machine tools including capstan and turret lathes, Bullards and automatics, vertical turning and boring machines, centre lathes, and Fischer copying lathes. 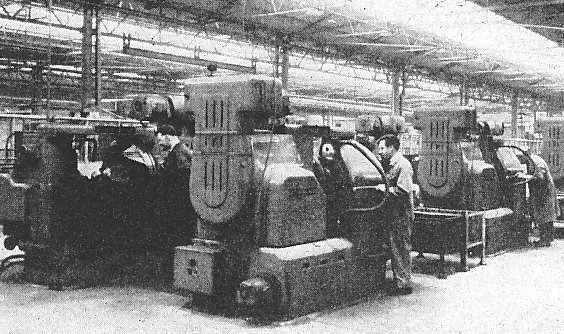 There were also Plano and duplex vertical and horizontal milling machines, multi-drillers and tappers, gear grinders, rotary surface grinders, gear shapers, and hobbing machines for straight bevel gears. Spiral bevel gears could be produced up to twenty one inches in diameter. The spiral bevel gear section. 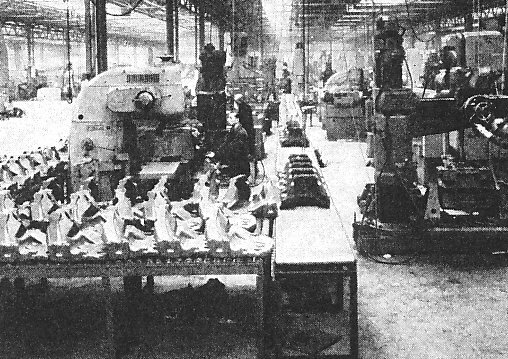 The division's main products were machined cylinder blocks, heads, crankcases, flywheels, fuel pump valves, fuel accumulators, motorcycle components, complete transmission units for agricultural and commercial vehicles, locomotive and marine gearboxes, textile and printing machinery, axles, shock absorbers, test rigs, gun mounts, turbines, heading machines, record presses, wire drawing machines, hydraulic buffers, and coal-cutting machinery. In 1960 the company became part of British Leyland, producing castings for their lorries and coaches. In 1975 it became known as Beans Engineering. The foundry cupolas. In 1988 when the Leyland group was privatised and broken-up by the Conservative Government, Beans Engineering was acquired by its management team, and after the buyout it acquired Reliant. Things went on much as before until Reliant failed in 1995 and took Beans into receivership. The Tipton factory was purchased by the German engineering group Eisenwerk Bruhl who made a large investment at the works, where 40,000 tons of cylinder blocks could be produced each year. The business became known as Bruhl UK but suffered from financial problems because the large investment had left the company in debt. For a second time the management team purchased the business which then became Ferrotech. The foundry moulding section. The factory had one of the most modern and efficient foundries in Europe and became a large supplier of castings to Rover. Unfortunately Rover went into administration in 2005, and Ferrotech failed to find a replacement customer. As a result the story ends in August 2005 when Ferrotech closed its doors for the last time. 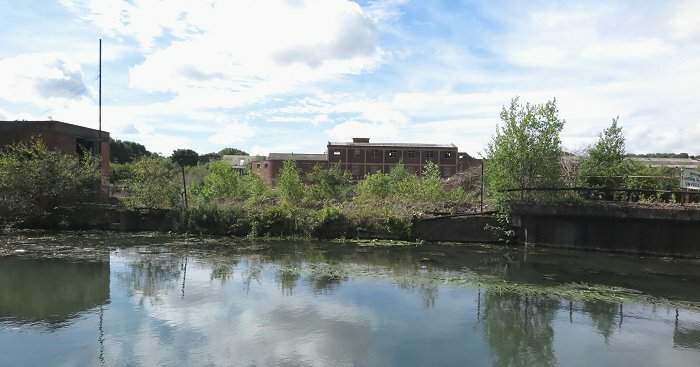 The remains of the old factory, as seen from the canal in 2017.